This entry was posted in Rescued Dog and tagged #dogparks, #dogs, #nationalpetday, #pets, #rescue, #rescuedog, #rescueorganizations, #shelter, #summer by admin. Bookmark the permalink. I look forward to reading about Layla’s adventures…past and upcoming! I admit I didn’t do anything special for Jack yesterday, although he had a wonderful day in the park in the morning, then in the afternoon he patiently sat on a picnic bench while I socialised with the humans. It was such a glorious sunny day, how could we not be outdoors! Oh yes, I forgot how much he enjoyed the cheese crackers one of them kept feeding him in a bid to win his affection. I am right there with you in sharing the importance of rescuing, and yes for those that insist on a pure breed there are plenty of breed specific rescue groups with dogs in need of a loving home. Glad you had some nice walks and adventures. Our weather is still kind of iffy and yesterday rained so we didn’t get out to celebrate, but enjoyed some nice cuddle time to celebrate! And of course, agree with you on rescuing! I totally agree.. I like your phrase “Adopt don’t shop”. There are so many dogs and puppies out there that need good homes. 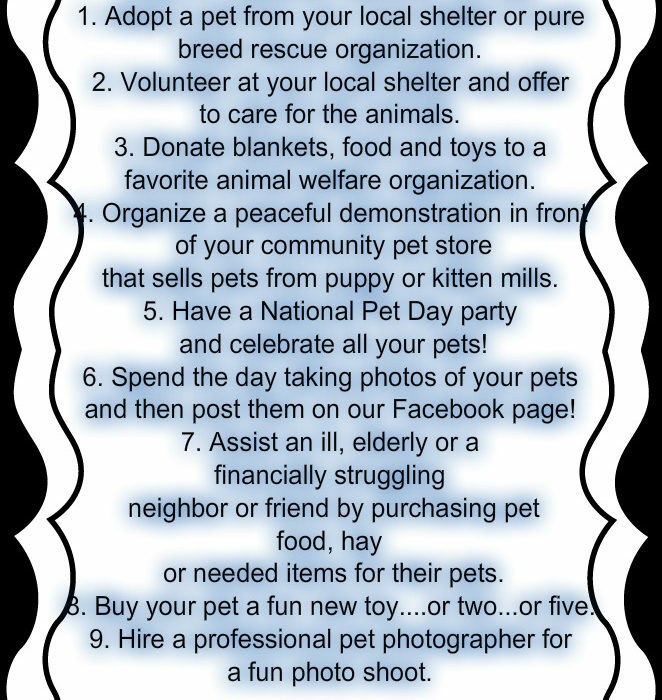 I like you list of helpful things we can do to help out the animal shelters. I donate to the humane society and they tend to send me small dog blankets that I then donate at my local shelter. Koshland park looks like a very nice place for a doggie walk. Very nice post. We normally don’t need too many toys. Lately, with the horrid conditions outside though, we go through them like nobody’s business. My cats and I played four times yesterday. They especially enjoyed their outings in our basement where we have agility equipment. It’s still cold, we still get snow … but yesterday we had sun and warmth and it was glorious. 2 hour walk… sat on the balcony. I think Vitamin D is the best! I think that was a nice way to celebrate. Looks like you had a lovely time enjoying the sunshine and finally no rain! I didn’t do anything super special on National Pet day however agree 100% with rescuing and adoption of animals. There are so many unloved animals looking for homes. That’s also why I take joy in being a foster mom for the moment. Showing them they can find happiness in a home with love is possible. Everyone should know what that feels like. 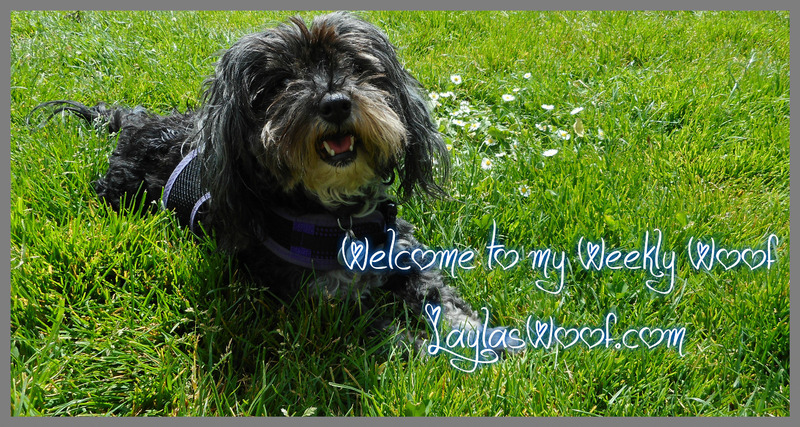 You are lucky to have such wonderful parks and leisure areas Layla. Many pups would love to be in your paws now spring is on the way! Also may we say a late to thank you for stopping by on Thursday it is greatly appreciated. 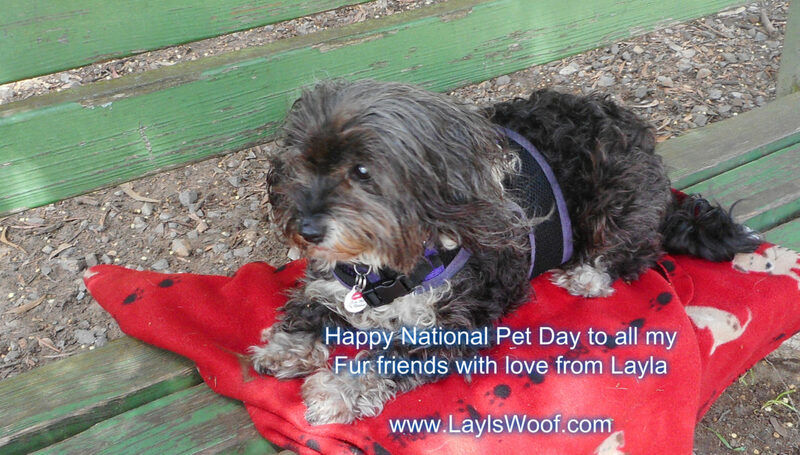 I love all your suggestions for ways to celebrate National Pet Day. It looks like you and Layla have some nice parks to visit. Love that you dedicate the weekend to spending time with Layla! Great list of things to do also. I like to consider every day pet day here! With five Siberian Huskies, our toy collection has grown exponentially!!! Last year, we packaged up newish and gently used toys and donated them to our local SPCA, and this year we are doing the same and sending them to a gal who rescues special needs Huskies. My pups had some ice cream to celebrate, too! Nom-nommms! Hmmm Layla woofs can she have some ice cream also please. I think we are all over loaded with toys in our houses and I am planning soon to donate some too, sharing with those that don’t have is such a fantastic feeling. Your pups are just as spoiled as Layla on a daily basis but I and am sure you too would not change it. I spent the day loving on my cats. I think it’s wonderful to find ways to help rescues. I’ve donated many items in the past. Thank you for donating, every little bit helps. I am sure your cats loved the extra pampering that day.